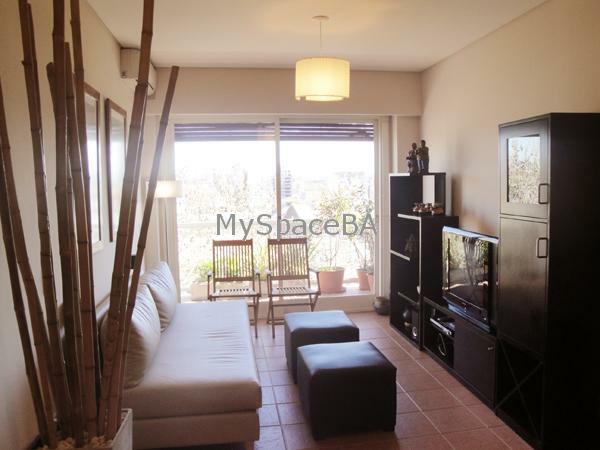 Very nice and full of natural light one bedroom apartment exceptionally located in Palermo Soho. The apartment has a living room with comfortable couch, cable TV, Internet High Speed, Wi Fi, a black wooden dinning table with 4 chairs and a tiled floor. Aircon hot/cold. Lovely balcony with plants. The bedroom has a Queen size bed, aircon hot/cold, safe box. It has a complete bathroom with bathtub and shower and a fully equipped kitchen. Balcony with an excellent view. Tiled floors, cable TV and Internet Wi Fi. Landline telephone. Safe box. Iron. Hair dryer. Fully equipped kitchen with microwave, fridge, freezer, coffee maker, toaster and a gas oven. Towels, bed linen and cleaning service once per week. 30 year old building, very good conditions.